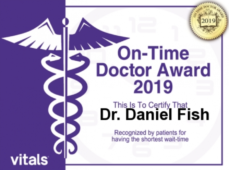 Orthopaedic Specialists of Connecticut > Our Team > Daniel N. Fish, M.D. Dr. Fish completed a Harvard Medical School fellowship in sports medicine at Massachusetts General Hospital. He served as an assistant team physician for the New England Patriots and the Boston Bruins and has performed pre-season medical evaluations for the New England Patriots for over 20 years. 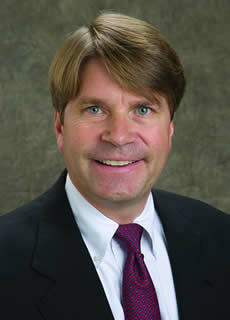 He is board certified in both Orthopedics and Orthopedic Sports Medicine. 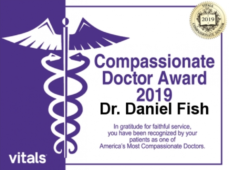 Daniel N. Fish, M.D. is board certified in both Orthopedics and Orthopedic sports medicine. He completed a Harvard Medical School fellowship in Sports Medicine at Massachusetts General Hospital. His experience includes working as an assistant team physician for the New England Patriots and the Boston Bruins and evaluating athletes at the NFL Scouting Combine. He has over 20 years of experience conducting pre-season medical evaluations for the New England Patriots. Dr. Fish completed a five-year residency at the University of Michigan where he covered the school’s Division I athletic teams. He has served as Chief of Orthopedics at Danbury Hospital and has been recognized as a Top Doctor and a Top Surgeon by Connecticut Magazine. He was selected to serve as an examiner for the American Board of Orthopedic Surgery, one of the most prestigious and respected positions in his field. He is an editorial reviewer for The American Journal of Sports Medicine and The Journal of Bone and Joint Surgery. In local communities, he has served as Safety Director for the Ridgefield Little League and is currently the team doctor for Brookfield and New Fairfield high schools. Dr. Fish offers complete Orthopaedic and Sports medicine care, including arthroscopy of the shoulder, elbow, knee, and ankle and minimally invasive surgery. Attending Orthopaedic Surgeon, Carlos Otis Stratton Mountain Clinic, Stratton, Vermont 2004-present. Connecticut Magazine, “Top Docs” Voted As the Best Surgeon by Peers in Orthopaedic Surgery. April 2007, April 2008, April 2009, April 2010. Finalist-1993 Richmond Cerebral Palsy Center Award, American Academy for Cerebral Palsy and Developmental Medicine. Finalist-1992 O’Connor Research Award, Arthroscopy Association of North America.